MJ Hur won the 2014 Yokohama Tire LPGA Classic, her first LPGA win in five years. And she did it with a tournament record score of 21-under. 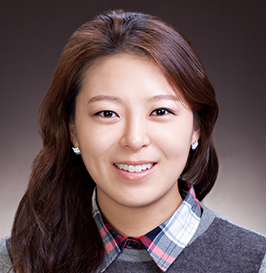 Hur first made her mark when she got into the 2006 Hana Bank-Kolon Championship in her native Korea and finished sixth. After that, her father sold his sporting goods store and moved the family to America so that Hur could pursue the LPGA Tour via the Futures Tour. She won on the Futures Tour in 2007, then returned in 2008 and finished fourth on the money list. And that moved her up to the LPGA Tour in 2009. And in that rookie season, Hur first won at the Safeway Classic. She hadn't won since, however, until the Yokohama. There were signs it was coming, though: She finished ninth at the Portland Classic two starts prior; and was third at her previous start, the major Evian Championship. MJ is still only 24 years old.